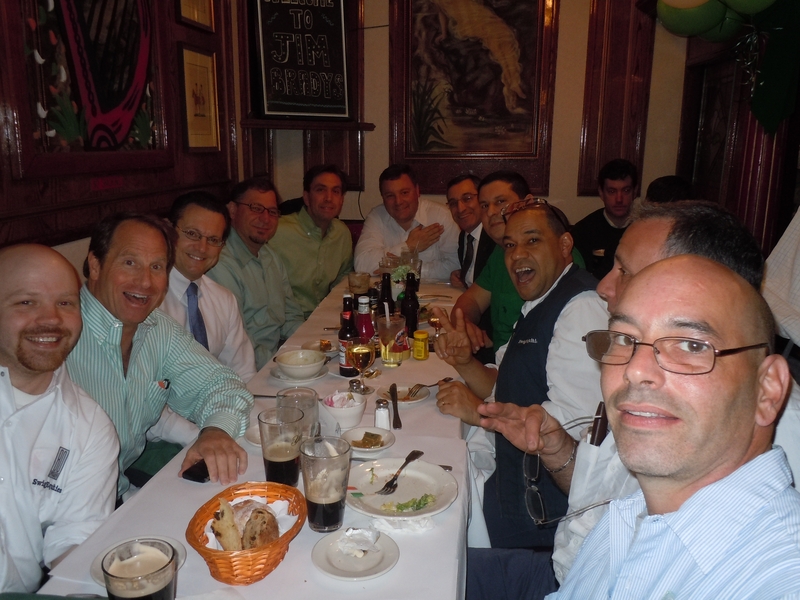 Each year, I have been privileged to host an annual St. Patrick’s Day lunch as Jim Brady’s restaurant located in FiDi (Financial District) with all of the chief engineers who work in the various Swig Equities commercial office properties. The purpose of the lunch is to thank our talented and dedicated engineers for all of their hard work and efforts. It has been a pleasure to host this lunch over the many years that I have been associated with our engineers, and I am so pleased that the tradition continued this year. In a world where business has become so complex and at times so lacking in humanism, I look forward to spending time with our engineers (at this and many other events and celebrations throughout the year) and to personally thank them for all that they do. This past month, I had the honor and delight of attending the Museum of American Finance Annual Gala honoring Peter G. Peterson, the chairman emeritus of Blackstone Group and the award was presented by John C. Whitehead. Mr. Peterson was presented with the 2011 John C. Whitehead Award for Distinguished Public Service and Financial Leadership. 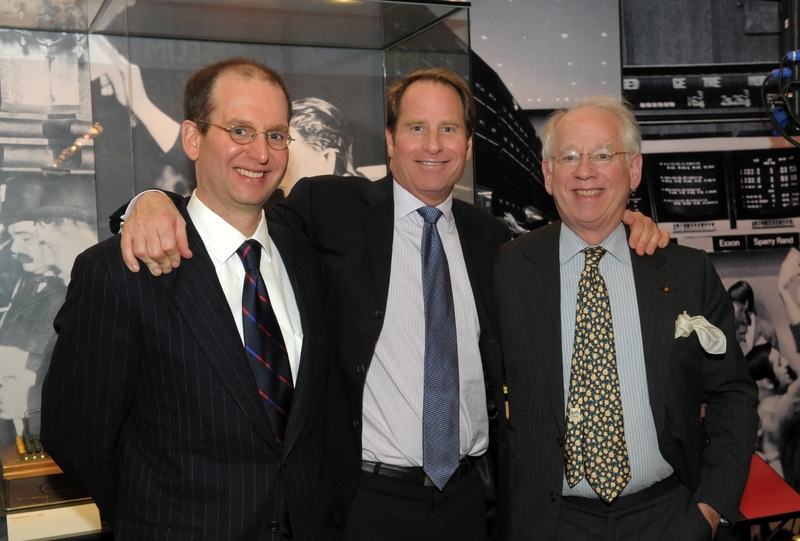 The Museum of American Finance, an affiliate of the Smithsonian Institute, annually presents the John C. Whitehead award to a person who has demonstrated a high order of achievement and leadership in the field of finance, and also served with notable distinction in the public sector. The museum, which is a landmark building that is owned by Swig Equities, in association with MacDonald & Cie, is the nation’s only public museum dedicated to finance, entrepreneurship and the open market system. The museum regularly hosts seminars and educational programming, to teach others of the importance of finance in history and in the future. Partaking in this event was an honor to all for us at Swig Equities. On October 13th, I will be participating on a panel at the Museum of American Finance at 48 Wall Street for an event organized by The Skyscraper Museum. Other real estate colleagues and I will be discussing the FiDi (Financial District) market place in Lower Manhattan and specifically the area along Wall Street, which is rich in American history. FiDi has seen many changes over the last decade, not to mention the redevelopment of The World Trade Center, which is now fully under construction with new office buildings, new transportation hubs, and the September 11th Museum. The event will bring to the table important issues about the future of Wall Street’s development and the affect on residents, businesses and tourists. I plan to bring forth some interesting perspectives that I have accumulated in my experience in the FiDi area. With properties on Wall Street and elsewhere in the FiDi, I have watched the neighborhood transform itself into one of the most vibrant, mixed-use neighborhoods in America. The event will take place at 48 Wall Street, a building owned by Swig Equities, LLC in association with MacDonald & Cie, which was dedicated as a public landmark by The New York Landmarks Preservation Commission in 2002. Celebrating the history and preserving the integrity of such a rich area is a topic that has always interested me. I look forward to hearing what the other panelist contribute. I am very proud of what Swig Equities has achieved during this difficult economic atmosphere, so it is my privilege to share with you the announcement of the promotions of Norman Zeller and Joe Caraciolo. Norman, has been serving as Vice President and Director of Property Management for the firm’s commercial and residential properties for years and has been promoted to Senior Vice President and Director of Property Management for Swig Equities. With over 25 years of experience in commercial real estate, it is comforting to know that Norman is the force behind the Swig Equities management team. I have had the honor of working with Norman as he ascended the ranks of Swig Equities and this is a well deserved promotion. In addition, Joe Caraciolo now serves as our Vice President and Director of Engineering and Construction Services. Joe has proven both his professional and creative skills as he has repeatedly exceeded all expectations in his previous role as Director of Engineering Services for Swig Equities. I am sure that the increase in responsibilities will provide Joe with a challenge that will see him, and the company, continue to grow from strength to strength. This promotion is an obvious next step for Joe who has seen his career grow from being Chief Engineer on a nuclear powered submarine, to being Chief Engineer of our landmark, 34 story, 48 Wall Street property, and then to a management position. I wish them both good luck and much success in their new roles.